10:30 – The Conference was opened by the chairman of the Colonnade Club and he welcomed key note speakers to open the event. 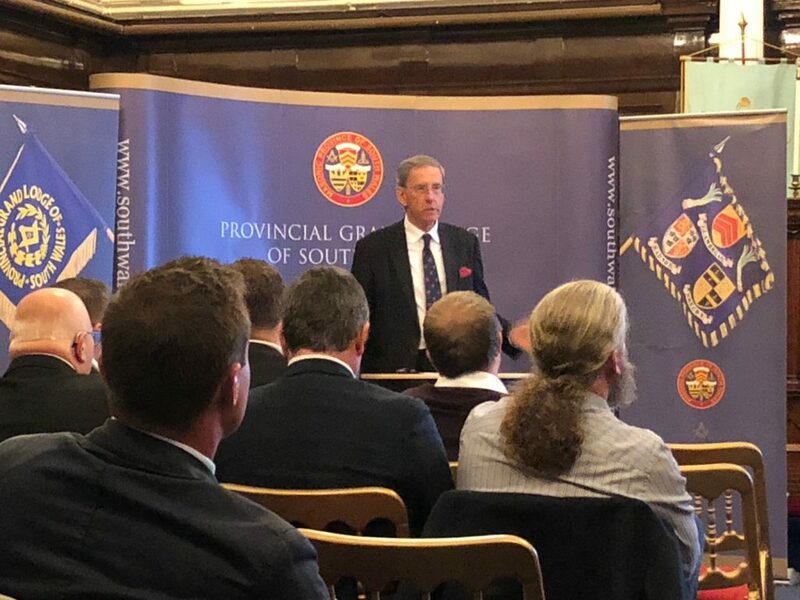 10:40 – The first Keynote speaker was the President of the Colonnade Club, PGM of South Wales & Third Grand Principal of the Royal Arch, RW Bro Gareth Jones. 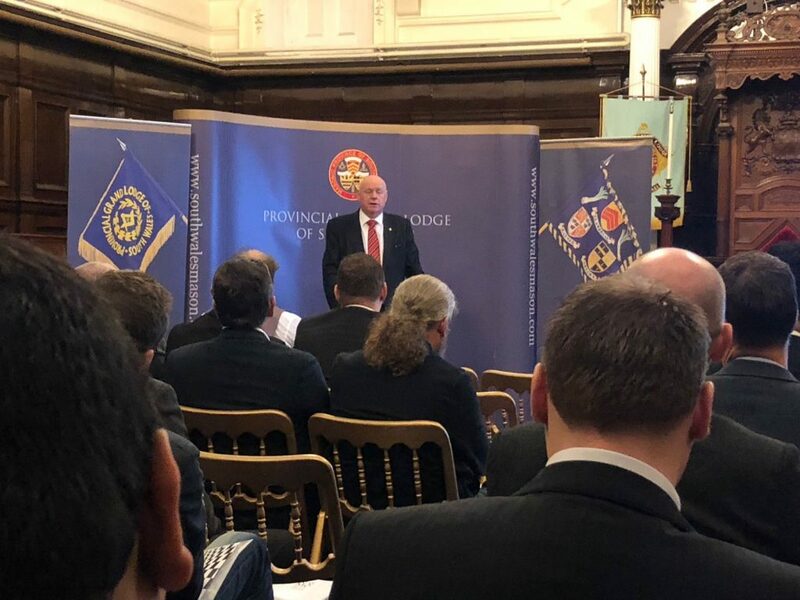 Topics covered in this keynote were that there is a stream of thinking through most lodges and brethren that current standards just will need to do and that not much can change. In fact quite the opposite needs to happen and standards just will NOT do for a progressive organisation such as freemasonry. He mentioned his pet hate which is the standard of toilets at Masonic centres and also the lack of welcoming centres in their decor and facilities. Modern young men demand better and that won’t do. Food standards need to be higher for young men entering the craft and findings have shown that they will pay for quality and they have got the money to join as long as it’s quality and not what we have in most centres at the moment. 11:00 – 11:40 – We had the first of our break out discussion sessions which was focused on Standards. There were two sessions and they were chaired by other NYMC committee members. James Hopkins – Holywell Club & Sam Mayer – Adair Club Chaired one group for three sessions. The discussion was on online presence with club websites, facebooks, twitter and a new concept for clubs Team App for presenting the club to the masses and also communicating with members and others in the province. Having Provincial links to the website and full backing for the clubs is top of the agenda and recruitment and retention strategy. We discussed different methods of website creation and WordPress was discussed with other clubs and also members who are looking at setting up a club in their province. 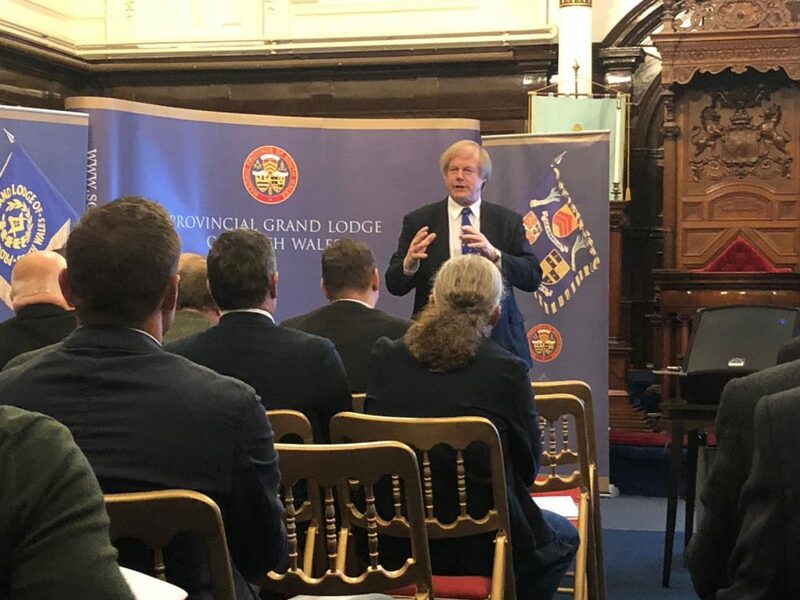 Clubs have a very strong provincial backing and Colonnade Club, the ONLY club in South Wales and with the PGM their president and wearing of club ties by Gareth Jones and all of the members in lodge meetings also. This makes their club very strong. Online presence was discussed and direct support and links from provinces were again a hot topic. 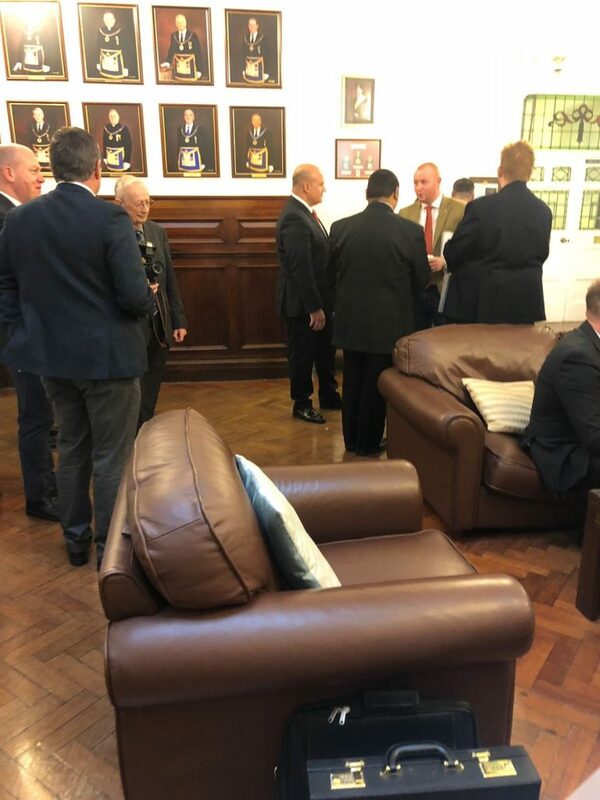 A physical presence at lodge meetings, having lodges reps and also being regular features on second risings at meetings and face to face meeting of new members to invite them and offer members packs for our clubs. 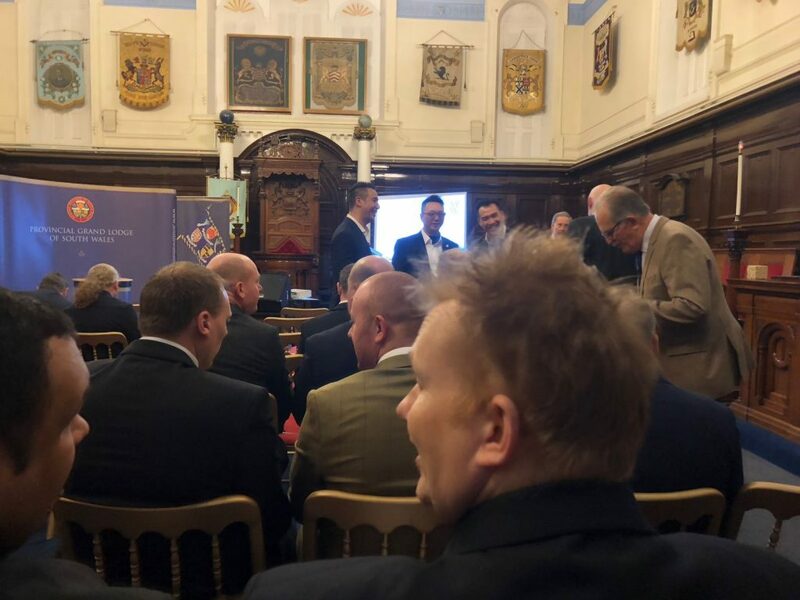 Working with the provincial office to have the message sent out to all members and being recognised at provincial Grand Lodge meetings as “our light blues club”. 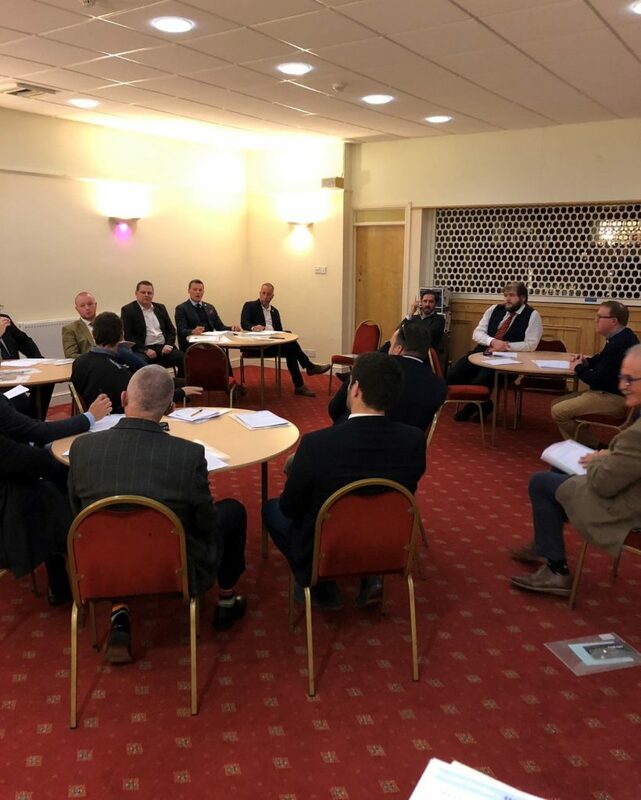 Working with Masonic centres to hold events and support them by offering to have working parties and groups to think about and implement changes and improvements. Younger minds think long term. 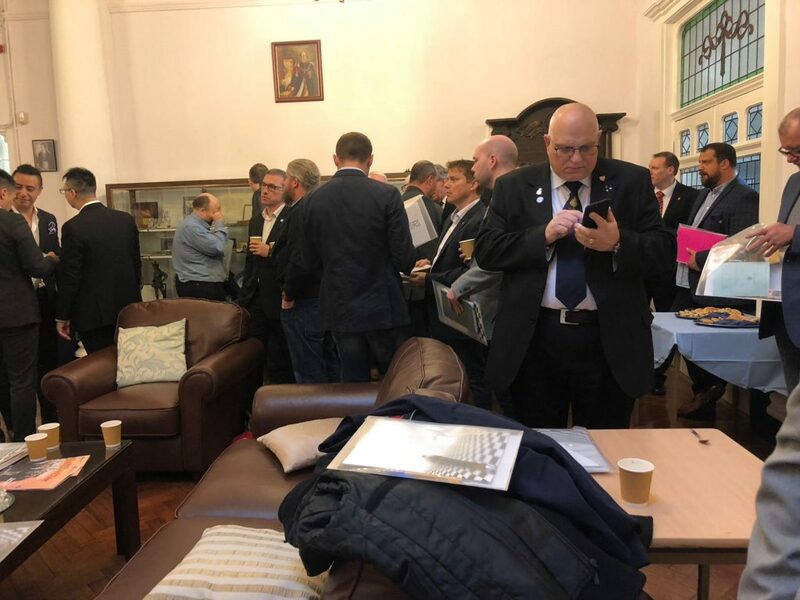 Better standards in catering were needed and Masonic hall facilities which the NYMC clubs must be involved with due to the fact that they are the future. Members are more likely to attend and retain membership if the standards are high and kept high. Members are willing to pay for quality and we must not be judged and expected to stand for low quality in all areas. Dining costs and dynamics were discussed and prices range from area to area. £6-£50 per head depending on what was on offer. 6 courses or Buffet festive board. Having introduction breakfast meetings and presentations from members of other degrees to enhance membership and understanding. 11:40 – Feedback to the Conference by the Co chairs of each group and to the Asst Grand Master who was visiting all the breakout sessions. 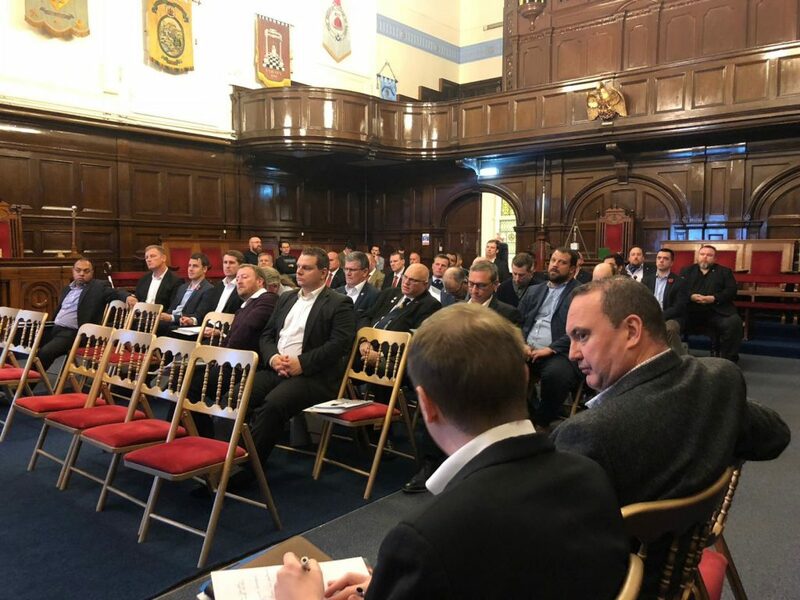 The importance and wisdom of new and young masons and how this is listened to right at the top of the organisation and that Grand lodge fully supports and endorsed the movement. He mentioned the knowledge that can be gained from NYMC and how that will be used to improve the craft. 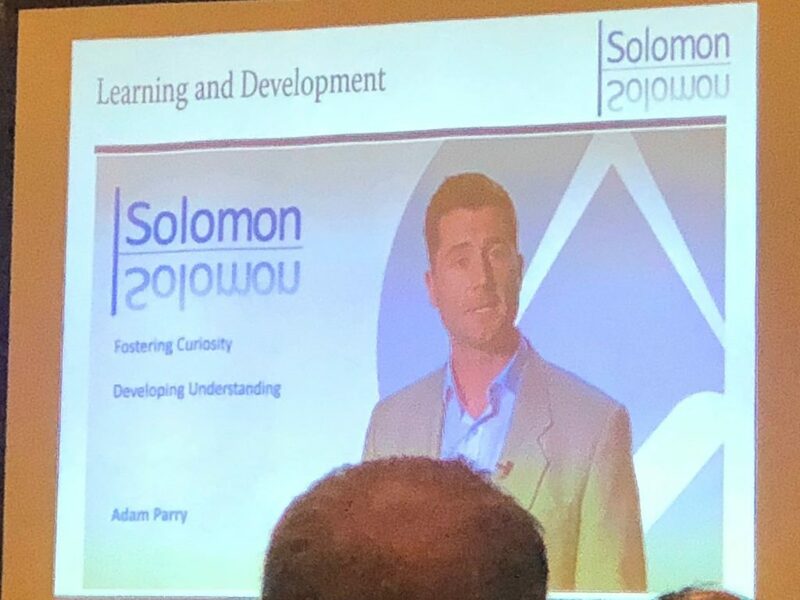 Various other topics on improving education and engagement were mentioned and I’m sure more details will come out soon. This sessions considered how we as clubs engage with potential members, current members and other stakeholders. The group was encouraged to speak freely and not be restricted. Chairs were to keep the flow of conversation and move onto all topics. Methods that were effective was face to face, lodge representatives, provincial backing and support with communication and again second rising reports were mentioned. Emailed lists using mail chimp and lodge mentors and provincial mentors. Letter from light blue clubs to all new members across the province welcoming them as members and inviting them to events. Lodges need to fully support the clubs and attend club events to help them recruit and retain members. 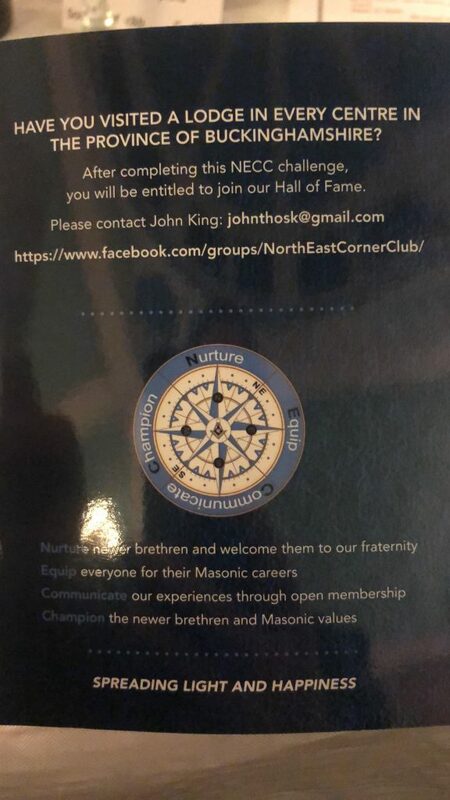 Keeping in contact with members and lodges using Welcome packs, Mail-chimp, Provincial Website, face to face contact and meetings, freshers style introduction table at provincial Grand Lodge meetings and major events and get out and meet people. At lodge candidate interview stage the club should be mentioned and discussed as an additional benefits of joining a the craft. Clubs monitor the interaction with members and reply to enquiries promptly but this needs to be improved. Emails and phone calls are the best ways of communication and also website and Facebook. Events were discussed and best events were BBQs and educational events. All three were discussed and a good mix of all three were important moving forward so that members benefit in all areas for their Masonic experience. It’s important to visit lodges and explain what the clubs do. Lodge reps and again second rising announcements are important for backing and validity. The clubs are here is enhance freemasonry and not to replace lodges and lodge activity. Membership officers again and mentors were to play a key role in this from lodge level and provincial level. 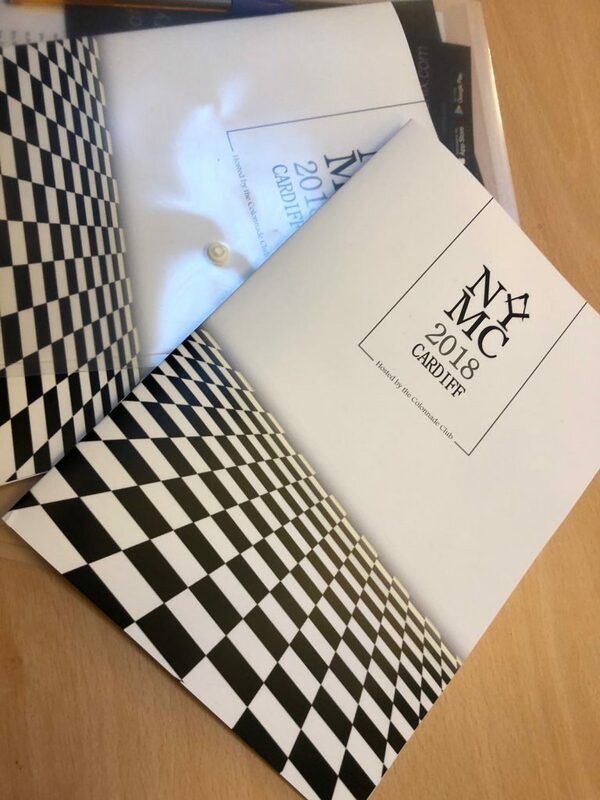 Mentors report in lodge meeting or membership report to announce NYMC events. 14:20 – Keynote speech from RW Bro Stuart Hadler – PGM Somerset and Member of Improvement Delivery Group. 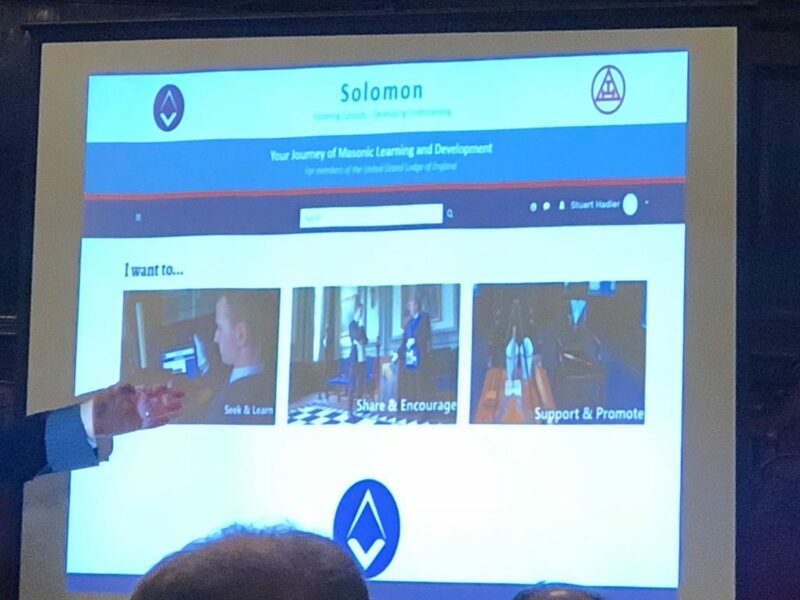 We had a very insightful talk on a new learning portal being developed by grand lodge to be launched this winter. Solomon. More details will be released by UGLE or just ask one of Holywell Club for more details. How mentoring works if indeed it does work. Discussion was extremely hot and very strong on this subject and lots of clubs feel and experience a lack of mentoring from Provincial level and lodge level. Job for the old boys was mentioned and that the lodge mentor job in a lodge was made to be very undervalued and almost a pain. The NYMC strongly feel this is one of the most important roles In lodge and provincial level and should be treated as such. Effective mentoring will combat lack of retention and help lodges keep members and engage with other masons. Personal mentors can be the proposer and seconder but should be looked at organically and not forced on a brother who is not equipped to mentor and does not have the time. Mentors should be pro active and not reactive, which is currently a problem. Members need to be educated on lodge history and WHY we do what we do and the meaning of the lodge meetings (Education). Small 5 min talks and education in lodge meetings on the Royal Arch and other degrees such as Mark should be adopted to open brethren a minds to other Masonic experiences. Work life balance was discussed and length and times of meetings should be varied to Adapt to that balance. 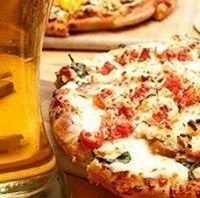 The wives and families consulted about times and what the craft offers them socially and in our charitable pursuits. What are trigger points for members leaving the craft and can these be addressed? What do members like to do outside of the lodge room and try to change socials and lodge events to suit them. They are the future FACT. Helping members feel included and supported from day 1. When brothers change jobs or move locations, make it easier to move lodges and stay in the craft. Explaining side degrees with TED talks, 5 min nuggets in lodge meetings on side degrees, Masonic centre open evening with all side degrees to find out more in regalia. One province has a Pegasus Display Team to showcase side degrees. The book of constitutions and other material given to the candidate explains a lot about the craft and new members should be encouraged to read and digest this. Not just as it states in the ceremony. Maybe a short talk on a subject from the book of constitutions. All the topics were presented and notes taken by rulers of the craft. Mentoring was a hot issue. 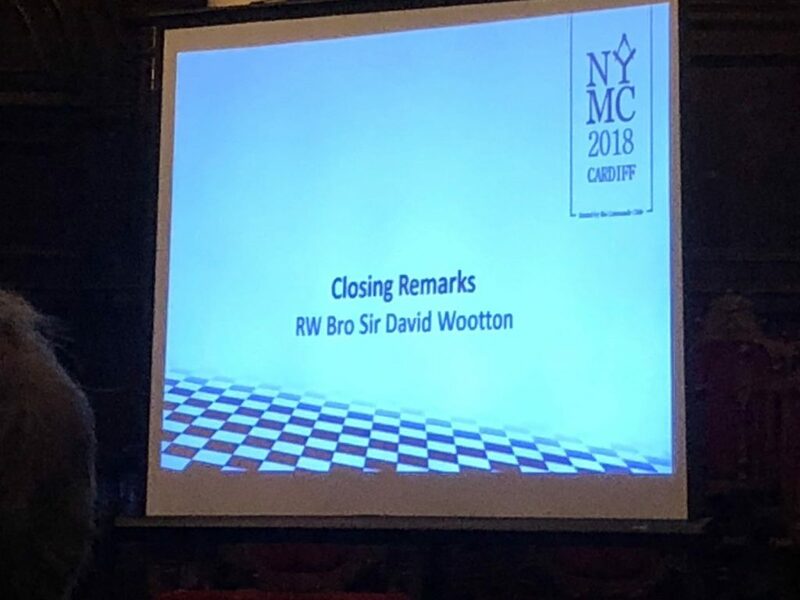 16:15 – Close of Conference and announcement of 2019 conference which will be in Leicestershire & Rutland – RW Bro Sir David H Wooton gave a closing speech and impressed on the importance of NYMC and how it will and is helping with retention and recruitment and that we are the future and ideas from this demographic are essential for the survival and growth of freemasonry. 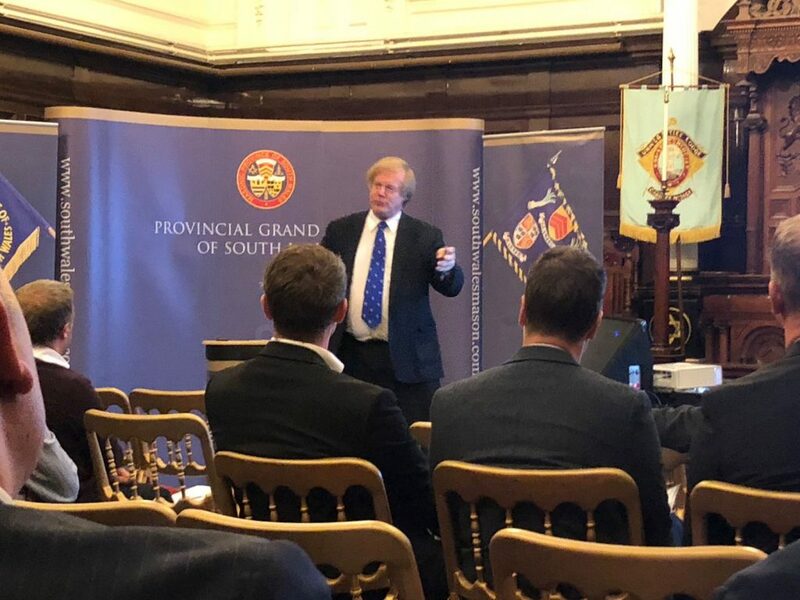 The Holywell Club will be bidding to host the 2020 conference in Sussex as a club and we had amazing feedback on our pitch and how all three pitches were equally as strong. 18:00 Universities Lodge Cardiff No 5461 meeting and festive board where more discussion and networking took place. Superb Welsh singing in lodge and at the festive board.